Today begins my training for the 2015 Portland Marathon! In today’s Marathon Monday post, in addition to recapping last week’s workouts, I wish to discuss my marathon training plan. Since this is my first marathon and I am attempting to qualify for Boston (BQ), I thoroughly researched marathon training plans before selecting one. After reading many accolades of the Hansons Marathon Method, I read the book and determined that their Advanced Plan was the best plan for my personal preferences, my strengths and weaknesses, and my goals for the marathon. The most distinguishing, even idiosyncratic, aspect of the Hansons Marathon Method is that which receives the most buzz: the plan only requires you to reach 16 miles for your long run. Yes, 16 miles is the longest distance you will cover before racing 26.2 miles. However, this should not serve as an indication that the Hansons Marathon Method is an easy plan by any stretch of the imagination (well, except perhaps the imagination of an elite runner!). The Hansons Marathon Method abides by the research of the great running minds, Dr. Jack Daniels (Jack Daniels Running Formula) and Dr. Timothy Noakes (Lore of Running). Daniels asserts that long runs should never exceed 25-30 percent of a runner’s weekly mileage. So if you are running 30 miles per week, your long run should not surpass 8-9 miles. The 16 mile long run (of which there are three over an 18-week training plan) falls at the end of 60-63 mile weeks, thus fitting into Daniel’s parameters. Noakes argues that your body will deplete the greatest amount of glycogen (carbs that fuel your muscles) in a moderately paced (70-80% of VO2max) run lasting at least two hours. For most of us middle-of-the-pack runners, any run over 13 or 14 miles meets this requirement and thus will give you the benefits of a long run. Any run over 3 hours depletes too much glycogen, thus risking overtraining; so instead of fatiguing you too much for the next week of training and edging the line of diminishing returns, the Hansons Marathon Method caps the long run at 16 miles. 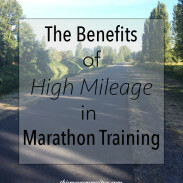 The Hansons Marathon Method also suggests that these long runs be done at a moderate pace of roughly 40-50 seconds slower than goal marathon pace. So, for my goal of a 3:30:00 marathon, which is an 8:00min/mile pace, the goal pace for long runs is right around an 8:45/mile. Something even a new marathoner such as myself knows: your legs will not feel fresh for the entire duration of the marathon. Eventually, usually after the 20 mile mark, you will be running on tired legs regardless of how fast and fit you are. The key to marathon success, then, is learning to run, and run fast, on fatigued legs. This is as much a mental learning as it is a physical one, and the Hansons plan teaches you both. The process for learning to run on tired legs is straightforward: you run frequently. The Hansons Marathon Method calls for six days of running; three of those days are easy runs, and three are Something of Substance (SOS) runs: speed/strength, tempo (goal pace), and long. On the weeks when you run only medium-long runs, you actually do two medium-long runs (10 miles) on back-to-back days. The mileage quickly accumulates: the Advanced Plan begins with 40 miles per week and progresses to 63 miles per week. Because you are running such high volume, monitoring your intensity is vital. Simply put, you cannot run your SOS days at the appropriate pace unless you are keeping your easy days truly easy. 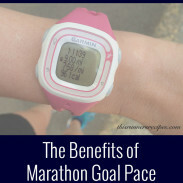 Easy day pace should range 1-2 minutes per mile slower than your goal marathon pace. I’m certainly not used to running that slow in base building, but it would be foolish and set me up for injury or burnout if I continue to run my easy days at my current pace. That pace may feel easy on 30 miles per week, but it will not on 60 miles per week with lots of speed work and marathon pace miles. I greatly appreciate the pages devoted to modifying the training plan. Training should fit your life, not the other way around, and the author (Hansons Coach Luke Humphrey) guides you through different ways to modify the plan, including moving around workouts, adding extra mileage, and incorporating strength and flexibility training. I personally prefer to take my rest day on Sundays. I like to sleep in without worrying about logging miles before or after church, and I enjoy spending the day with Ryan and Charlie. So, I moved all the workouts up a day to keep the time between SOS workouts the same, and moved my rest day to Sunday. Originally, the rest day was between the speed/strength and the tempo runs, but the modification notes said easy running was acceptable during these days and may even benefit some runners who respond well to active recovery. In regards to strength/flexibility/cross-training, you can continue to do these in marathon training if you have been regularly doing those workouts before. The adage is, nothing new in marathon training! So, I’ll be including strength/core work and yoga/Pilates at least once a week and not shy from hiking or cycling on the weekends, since those have been part of my routine already. Finally, per the 25-30% rule, you can, if you are feeling good and not demonstrating any warning signs of injury or overtraining, extend one of your 16 milers to 17 or 18 miles (which are just under 30% of 63 miles). I may complete 17-18 miles for either my second or my third final long run only if I feel good. For my training pace, 18 miles would not exceed three hours of running, so diminishing returns is not as much a concern for me as it would be for someone training for a 4 hour marathon. In my final week before marathon training, I kept my mileage comfortable and avoided any structured speedwork. Monday: 4 hilly miles on the treadmill, 8:51/mile average pace, 0-3% rolling hills. Wednesday: 7 mile easy run, 8:37/mile; PM: strength training with lots of single-leg work and some upper body strength. Thursday: 3 mile progression run with Charlie. 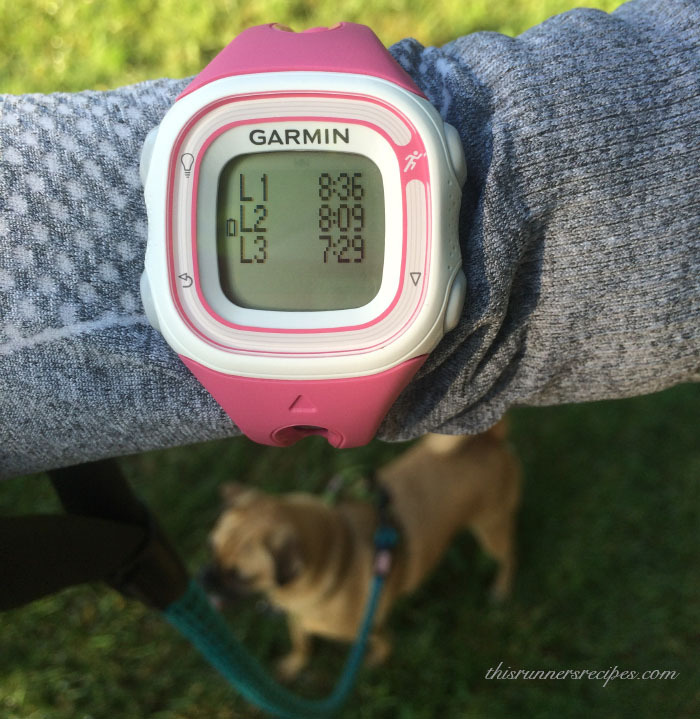 That little puggle is a speed demon: our splits were 8:36, 8:09, and 7:29. PM: This ab workout (modified for the more advanced moves) and foam rolling. Friday: 8 miles easy, 8:45/mile average pace, 0-2.5% incline. I was tired from a poor night’s sleep and not sure how far I wanted to run, so I just ran on the treadmill. Saturday: AM: 4 miles of mixed intervals (easy, marathon pace, half marathon pace) on the treadmill, 1-2% incline, 8:02/mile average pace, and core work. 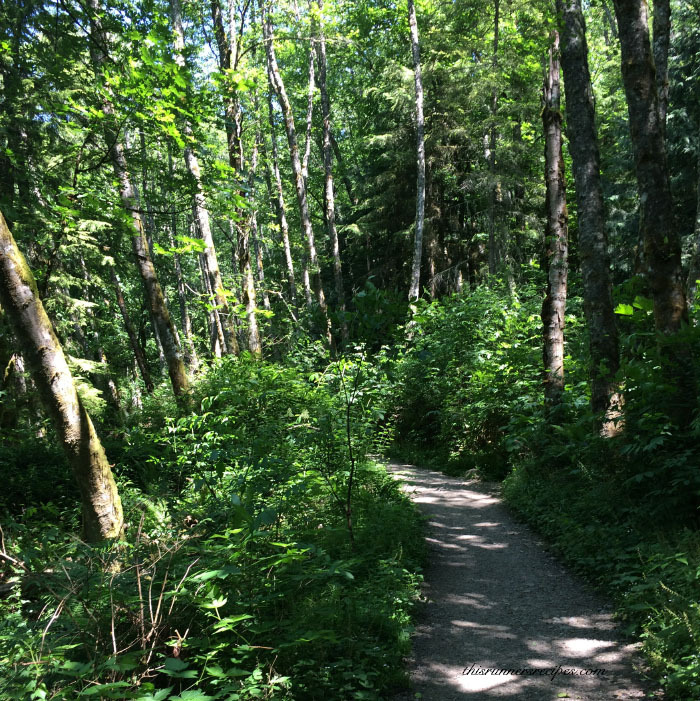 PM: 7 miles of hiking at Tiger Mountain in the Issaquah Alps, 2500 feet of elevation gain. 33 miles for the week. How was your week in running? What was your best run? Are you training for a marathon this fall? What plan are you using? What do you look for in a marathon training plan? How do you chose a marathon training plan? The Hansons Marathon Method emphasizes marathon-specific workouts, cumulative fatigue, and a 16 mile long run. Find out if the Hansons Marathon Method training plan is right for you! I’ve probably told you this, but I used Hansons marathon plan for my spring marathon last year. I really liked it, but that was a really rough winter and I kept having to move around my workouts which was not ideal. The start of marathon training is so exciting! I can’t wait to hear more about how its going for you! 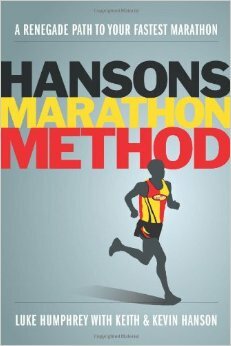 I’m reading the Hansons book right now and I think I’ll be doing the same training plan for my first marathon in November. I would LOVE to BQ eventually, but I think that might be too lofty of a goal for my first marathon, but you never know!! The marathon I’m doing isn’t until the second week of November so I still have a few weeks to figure out how I’m going to train. I have enjoyed reading you for a while- first time commenting! This was a great little synopsis of the Hansen method. I am intrigued because I have very similar half marathon times to yours. This fall will be marathon #4 for me and I am still searching for my BQ. I just finished Brad Hudson’s ‘Run Faster’ and will be trying out one of his plans which he considers to be ‘adaptive training’. I definitely agree on the modifications part of it – I like being able to switch things up and do cross training that I enjoy. I haven’t used Hansen for any of my previous 3 26.2’s, so I am very much looking forward to reading about your journey. Thanks for writing and happy running! Yay, it’s happening! I always find someone’s first marathon to be so exciting. I love dissecting training plans and learning about different philosophies and methods. I know a lot about the Hanson method and use some of their tactics, but haven’t used one of their plans. For me personally, I would be nervous about the absence of longer long runs. 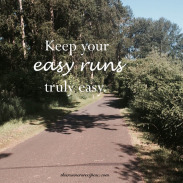 But I love the structure of running easy runs easy so you can have success and be recovered for hard runs and I know a lot of people who have had success with their training plans. It’s always so exciting to start a new training cycle. I’ve heard great things about Hansons Training. That trail looks amazing! I used hansons for my NYC Marathon in 2013. Definitely the most I’ve ever ran but I got a 30 minute PR. I did like that the long runs were capped at 16. Long runs are my least favorite. The tempo runs were the most challenging for me! I’d always psych myself out before them but they really do help build confidence. Thank you – it amazes me how beautiful the trails are and how far they go (this one joins up with others for over 30 miles of continuous trails!). Glad to hear you had good results from Hansons – a 30 minute PR is amazing! Thanks for breaking down this method! I’m interested in doing a marathon this Jan/Feb and I can’t decide what training to do. Now I know more about Hansons! Glad you enjoyed the post! I highly encourage reading the book – even if you don’t use the plan, it will helps with so many aspects of marathon training. They do have such a short taper, which makes me a bit nervous! And that’s good to know you recommend adding an 18 miler – thank you!